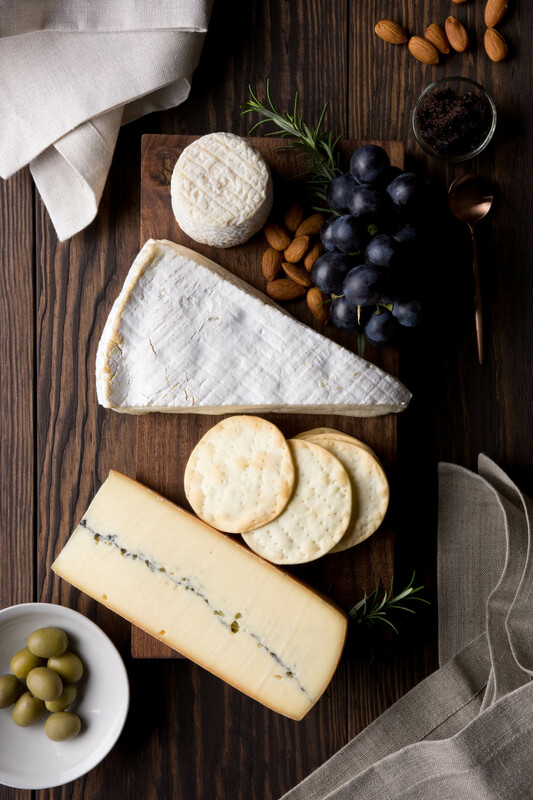 Growing up, some evenings, my mum would prepare a cheese plate and there would always be a collective buzz of excitement when she’d call out cheese and bikkies! We were kids, so it was a fairly simple plate but there would always be some firm favorites: a super sharp cheddar, sliced pickles and several handfuls of Carr’s water crackers carefully laid out like fallen dominos. We’d hover around the table grazing while chatting. It was a comforting time of the day. 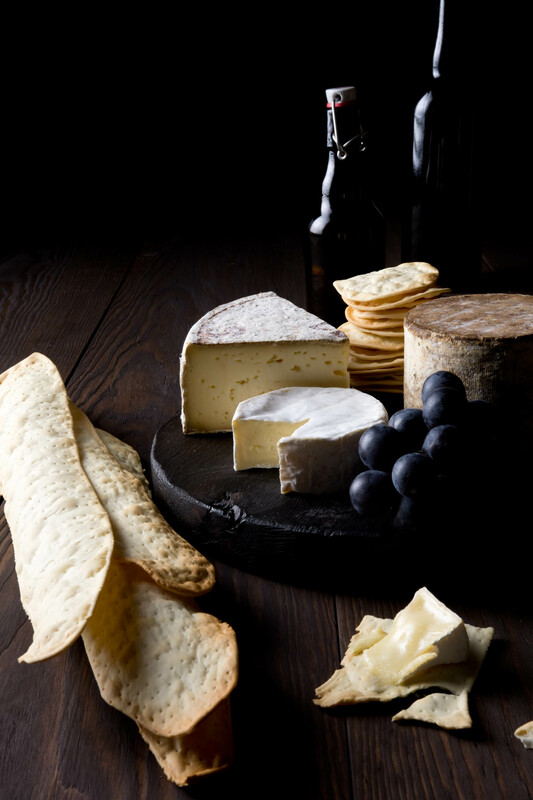 These days we have apéro which is the short name for apéritif, the pre-dinner drinks usually accompanied by lots of French cheese, cured meats and, of course, crackers. It is a wonderful social occasion to enjoy with friends and family but it can also provide a mellow interlude before evening meal preparation. When I became an expat, there was obviously never a shortage of cheese but it was difficult to find a suitable alternative to our favored Carr’s water crackers. In Northern France, you can find them every now and then in the quintessential British products section of the supermarket, but not in ours. So, to satisfy our cracker needs and to accompany l’apéro I started to make my own. They are quick to prepare once you get the hang of them, and even more so if you have a pasta maker. I make them 20 minutes or so before apéro and always try to make enough to carry over to the next day. They are also great with soup, lentils, dips and spreads like Greek fava, tapenade or melitzanoasalata (Greek grilled aubergine spread). ⅛ teaspoon vinegar. White vinegar is a good basic choice but other vinegars can give a slightly different outcome. For example, apple cider vinegar gives a sweeter aroma but doesn’t change the taste. Into a medium mixing bowl, sift flour, bicarb soda and salt. This will be referred to as the flour mix. Into a glass or small bowl, combine vinegar and water. This will be referred to as the water mix. Pre-heat oven to 180°C (356ºF). Fan-forced is beneficial. Prepare at least 2 un-greased baking sheets and cover each with baking paper. Add olive oil to the flour mix and rub with your fingers. Make sure that the olive oil is well combined and that no large balls remain. Add the water mix to the flour mix. Mix together with your fingers until the mixture forms a ball. If it feels a little dry, add a splash more water. If it seems sticky, wait a minute or two, dough can take a moment to absorb moisture. If it stays sticky, sprinkle some flour over the ball and work it in. Do not knead the dough, just manipulate it enough for the ingredients to combine. If making by hand, roll out the dough using a rolling pin, folding it on itself and rolling it out at least four times. This will create the fine layers that you see in commercially made water crackers. If using a pasta maker, start on the thickest setting. Pass through a small piece of dough at a time. Fold it on itself each time you pass it through the machine. Move your way through the thickness settings as you would when making pasta. I have an Imperia machine and I roll up to and including the second thinnest setting. The finest setting is far too thin. For your first batch it is a good idea to test a couple of thicknesses so that you can evaluate which you prefer. In regards to shape, you can bake large pieces that can be broken up at the table or pre-cut them to size. For this post I made long rustic crackers and circular ones using a cookie cutter. Lay the crackers out on the prepared trays. Using a fork, prick the crackers all over. The more holes, the flatter the cracker. The fewer holes the larger the air bubbles. 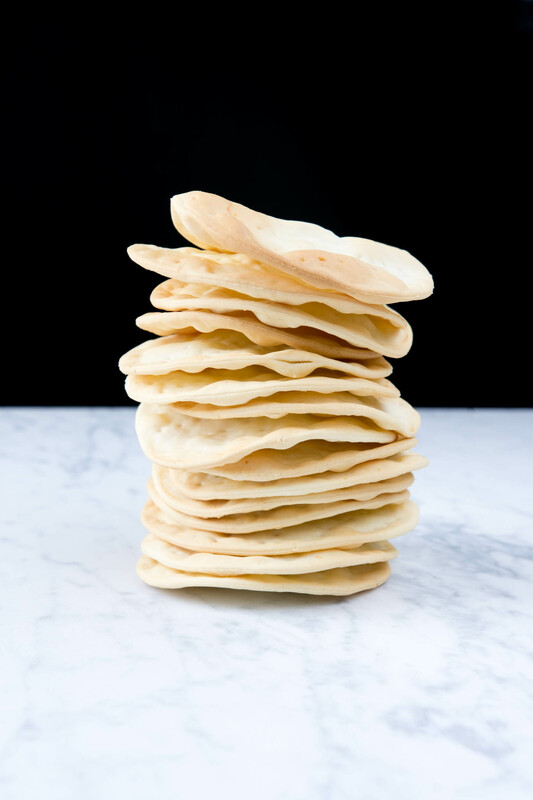 Using a pastry brush, coat the top of every cracker with water. Bake for 12-15 minutes until bubbles start to get a golden brown colour. If you find that your test batch is slightly chewy, bake the next batch for a minute or two longer. It simply means that they’ve retained a little moisture. Let cool and store in an air-tight container. Photo 2 cheeses: Tomette de Brebis des Pyrénées raw sheep’s milk. Tomme Savoie raw cow’s milk. Petite Camembert pasteurised cow’s milk. Photo 4 cheeses: Chabichou du Poitou raw goat’s milk. 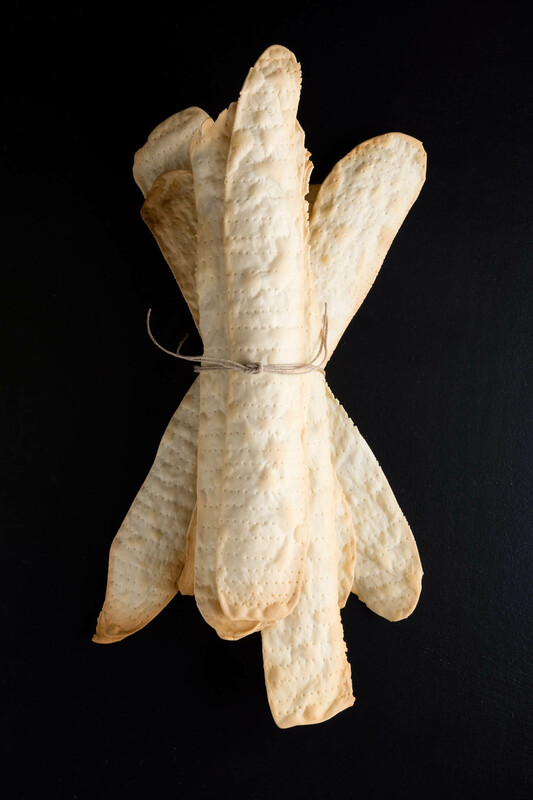 Brie de Meaux 1/2 affine, raw cow’s milk. Morbier 70 days, raw cow’s milk. Photo 4 CROP linen napkins: in Flax & in Natural colours.